Looking for a retreat to escape the stresses of daily life? Mississippi’s revitalizing spas have the answer. There are a number spas of great luxury, and more quaint escapes, sprinkled across the state. Whether you prefer a steamy sauna, rejuvenating facial, or a soothing massage, these 10 best spas in Mississippi can help you out! The Alluvian Spa in Greenwood is located in the beautiful Alluvian Hotel of the same name. They offer exclusive treatments including therapeutic baths with the waters of the Mississippi River and a facial with 24 karat gold. In addition, they have signature procedures designed specifically for men. Aqua the Day Spa has been winning awards for Best Salon and Spa in Mississippi for years, and for good reason. This gorgeous spa in Ridgeland offers a gorgeous atmosphere that will have you feeling relaxed from the start. For an immersive experience, try one of their spa packages. At the Red Lily Spa Naturelle in beautiful Ocean Springs, the staff really takes the time to make you feel warm and welcomed. 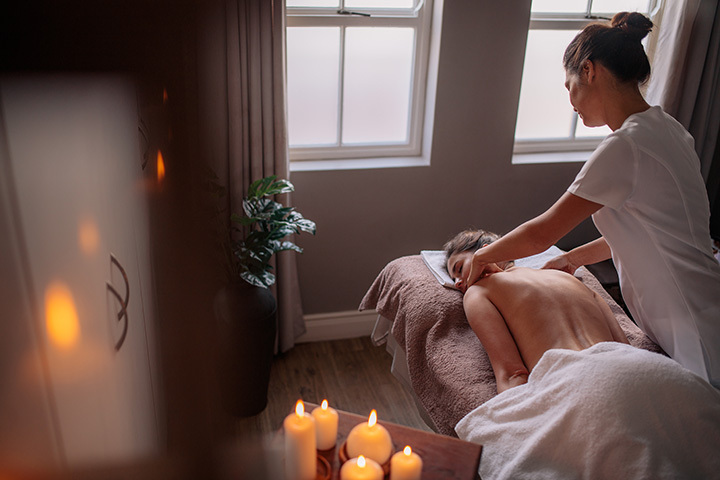 This comforting atmosphere adds to the relaxing procedures they offer, which include Reiki massage, manicures and pedicures, expert eyebrow treatments, and much more. Bella Derma is a cozy oasis in Historic Downtown Columbus. Relax with a hot stone massage or holistic therapy. In addition to the pampering services they offer, the staff is dedicated to helping your whole health, including recommending healthcare regimens that you can continue long after your visit. Chuck Kelly is a cutting-edge salon and spa in the heart of Gulfport. The skilled aestheticians are committed to keeping on top of the latest procedures and beauty trends to keep you feeling and looking your best. Relax and enjoy their hour-long signature facial. The Fairview Inn is a beautiful bed and breakfast which features the luxurious nomiSpa on its first floor. From detoxification baths to aromatherapy, nomiSpa uses essential oils and homeopathic products to help bring out your skin's natural beauty. There's even a special massage for expecting mothers! Pure, the in-house spa at the Palace Casino Resort, is an upscale place for locals and visitors alike to relax and renew their senses. Many of their facials are tailored to different skin types, such as the red wine protective facial, and they also offer skin resurfacing as well as relaxing massages. Located in bustling Southaven in northern Mississippi, the Belle Ross Spa & Salon is making a name for itself by blending contemporary beauty trends with a classic spa experience. The atmosphere here is never intimidating, making it a perfect trip for the first-time spa-goer. Brickerton Day Spa in Columbus is a cozy spa with a welcoming feel. They offer everything from mud baths to chemical peels and a facial designed to relieve sinus pressure, all in a comfortable environment. They even have a special indulgent package for the bride-to-be. The Lotus Downtown Day Spa is a perfect place to escape for a retreat, with quality procedures and accommodating staff. They've been voted “Best of the Pine Belt” multiple times thanks to their expert treatment. For a fun girls' day out, get a group of friends together for a spa party!